This post is the last in the series on energetic cross-training. In the first post, we focused on how yoga and mediation are intimately linked. In the second, we focused on how yoga and moving practices can be linked. In this post, I am going to talk about how everything fits together. 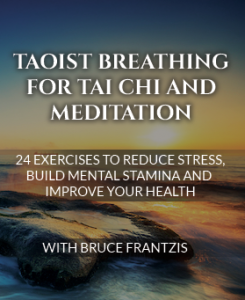 In one sense, you can say you can energetically cross-train with ordinary qigong, tai chi, bagua, and longevity breathing yoga (Taoist Yoga). Each has a specific focus, but in the end they are a unified whole. Depending at where you are on your path, it may be beneficial for you to learn a different movement form or you may need to stick with your existing practice longer . . . If you approach your practice with the idea of, “I like to do this one and I shouldn’t have anything to do with the other one,” you may not be doing yourself any favors. As humans, we are often resistant to change. 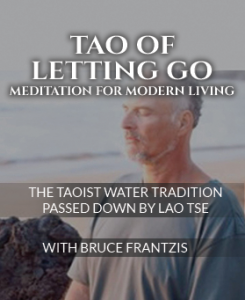 By seeing the larger context for the each of the different energetic practices in Taoism, you can make a more informed choice on how you want to participate or not. It might just be that, if you can train the same muscles or your attention in different ways, that you get enhanced capacities. Just like in physical cross-training out of those muscles they are able to do more. You might want to energetically cross-train to see if by just doing something different or by working from a different angle, all of a sudden you might just be able to go to the place where you wanted to be and are also to do it well. Of course, at the end I also have to say that for myself personally that the good part about having more choices is that you go through human cycles. There is the whole other issue of what I would simply call human boredom, or your interest shifts so you know at a certain period of time by doing yoga or tai chi or bagua or certain types of qigong or meditation that when you almost feel like you’re hitting a wall. You then go and do something else that is related to it and that reinvigorates your motivation, your interest, something different you can wrap your head around and get enthused about. But since your still working with essentially the same stuff when you go back to what you were doing before you find that you’ve progressed. 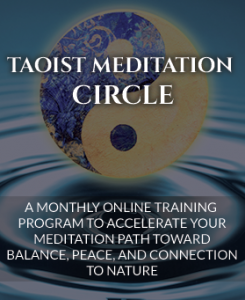 Then you can find that all of a sudden that which was getting still has become lively, yoga can do that for the tai chi or the meditation and vice versa. I think the one danger in bringing forth the concept of energetic cross-training is that many people don’t actually practice what they learn. So in this case, it would be important to mention here that it is much better to go deeper and to stay consistent with one practice rather than jump from one to the next without learning anything fully. 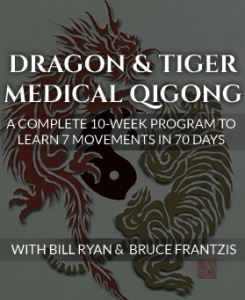 Cross-training should not be used if you have learned a movement like qigong or tai chi but don’t practice it. 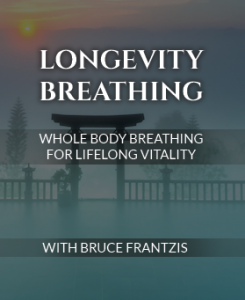 Energetic cross-training is useful when you need to focus on a particular component of a practice, such as breathing or alignments, and to learn that component it may be easier to learn it in another practice. Energetic cross-training can also be useful when you get stuck in a current practice that you are doing regularly. 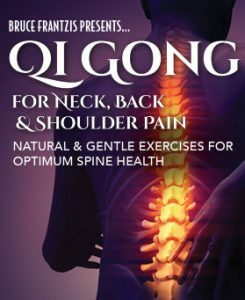 So, this series of posts should serve as an introduction to energetic cross-training, a methodology that worked wonders for me. I thought it was also useful to share because I think that people get kind of stuck with I do this therefore I wouldn’t want to do that. I can understand if what they were doing was really different and also if doing something else was a detraction. 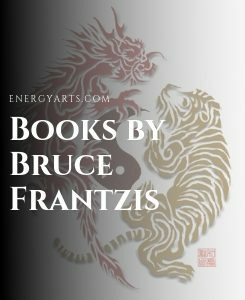 However, the whole nature of energetic cross-training is that the events you are cross-training for, are on the surface very different, but they actually are working with the same body systems that you want to enhance they are each one doing it from a very different angle. 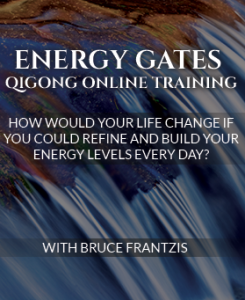 I hope this concept of energetic cross-training has been useful to you and I encourage you to leave a comment below . . .